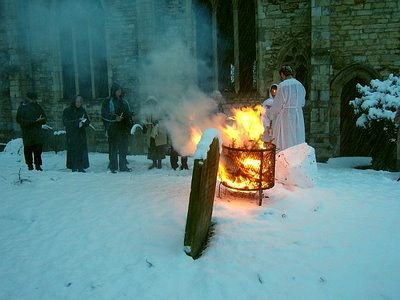 Easter morning 2008 was marked by thick snow. 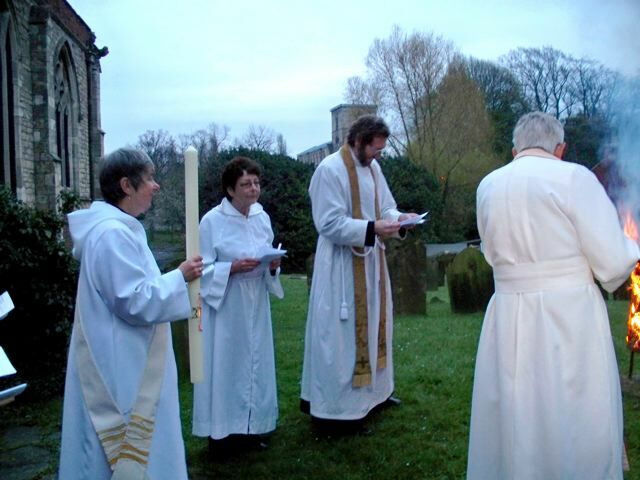 The picture shows the lighting of the New Fire in the churchyard for the Eucharist of the Dawn. 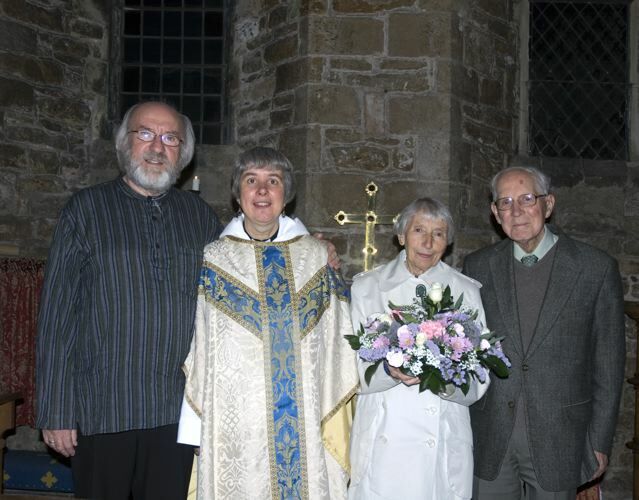 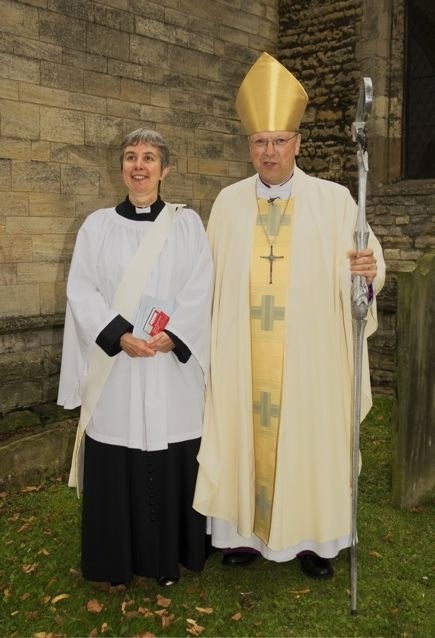 The Rev Katherine Colwell was ordained Deacon by the Rt Rev David Rossdale, Bishop of Grimsby, in Saint Mary's Church, Barton-on-Humber on 28 September 2008 to serve as Assistant Curate in the Parish. 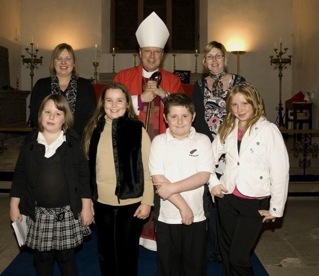 Six candidates from Saint Mary's were confirmed in Wrawby church on Tuesday December 2, 2008. 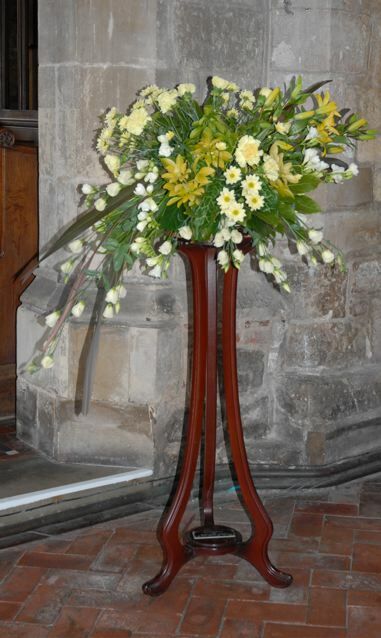 For security reasons, candidates are not named. 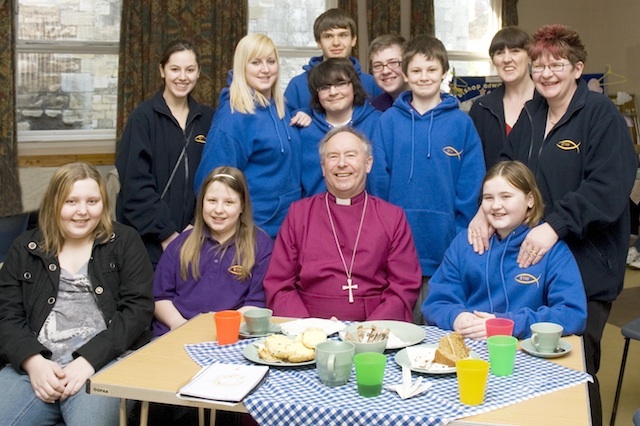 They are pictured with the Bishop of Grimsby. 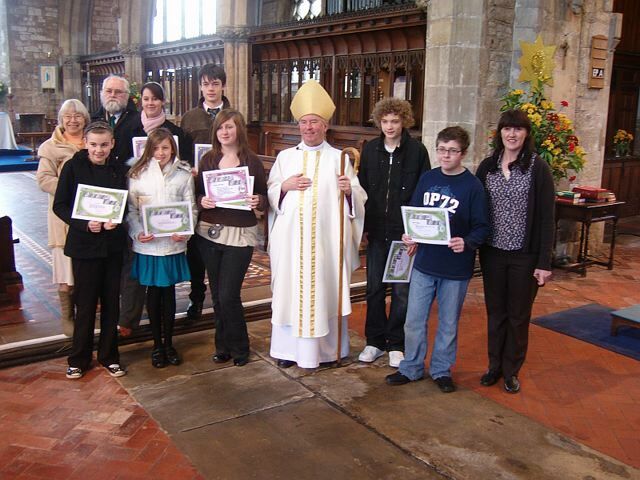 Presentation by the Bishop of Lincoln of Barton young peoples' Bishop's Youth Achievement Award certificates. 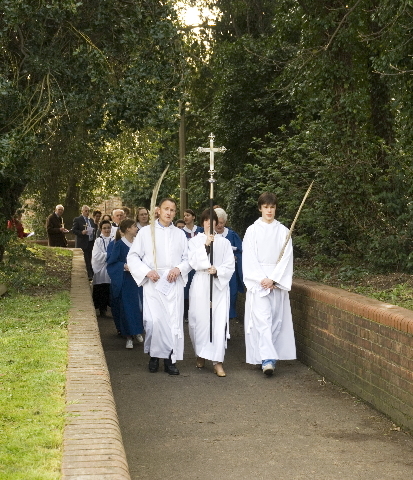 Palm Sunday Procession leaving Saint Peter's Church at 9-20 am. 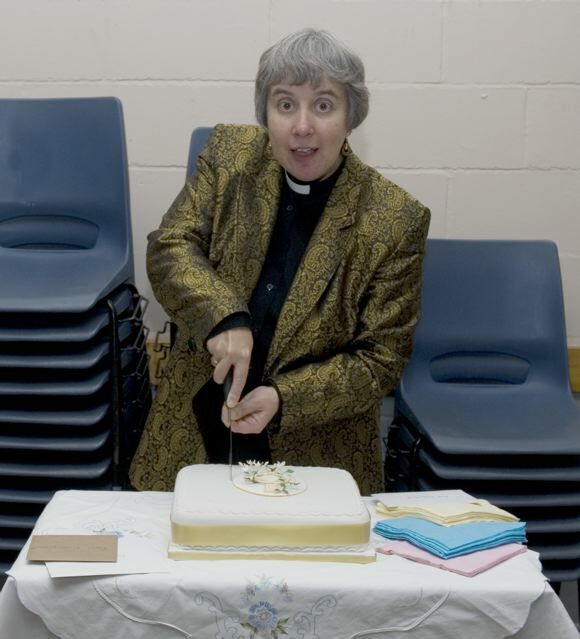 The Rev Katherine Colwell was ordained Priest by the Rt Rev Tim Ellis, Bishop of Grantham, in Lincoln Cathedral on 27 September 2009 and continues to serve as Assistant Curate in the Parish. 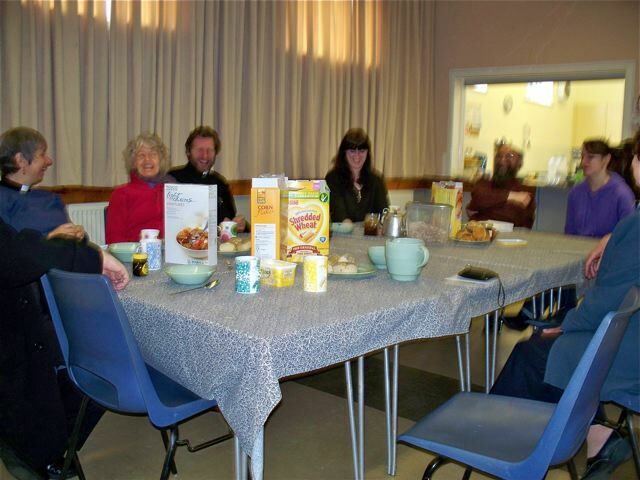 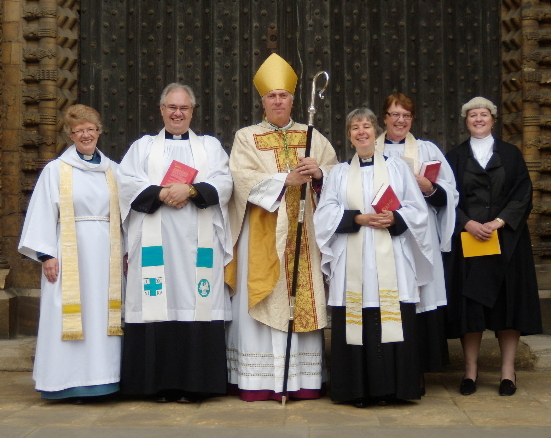 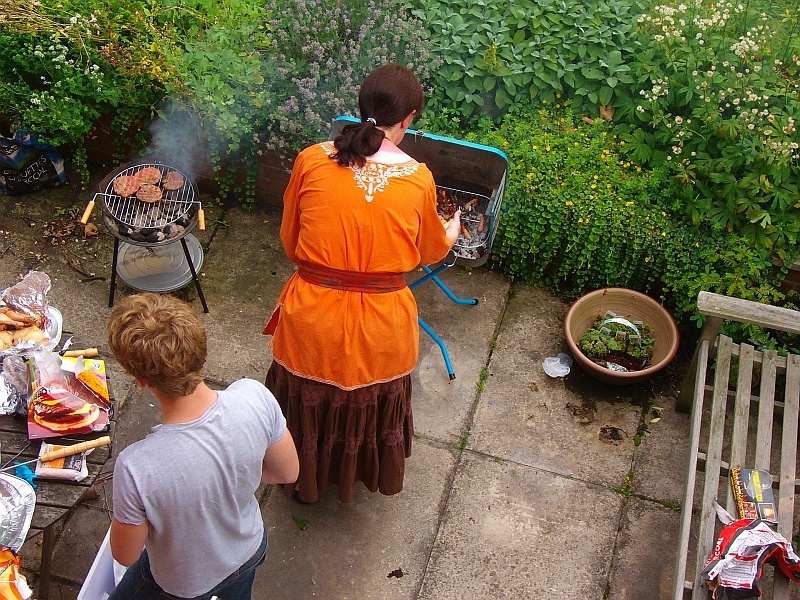 Also shown are extreme left, the Archdeacon of Stow & Lindsey and extreme right, the Diocesan Registrar. 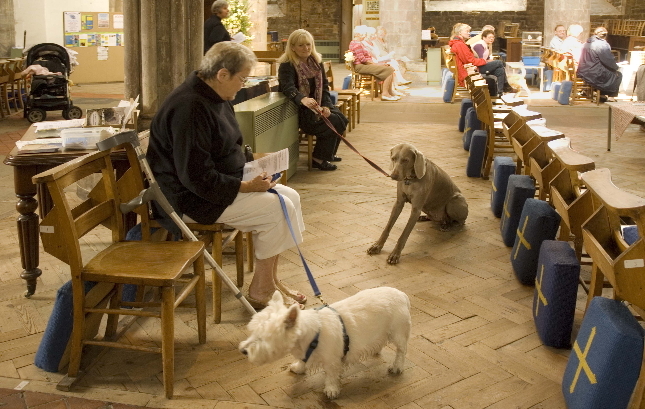 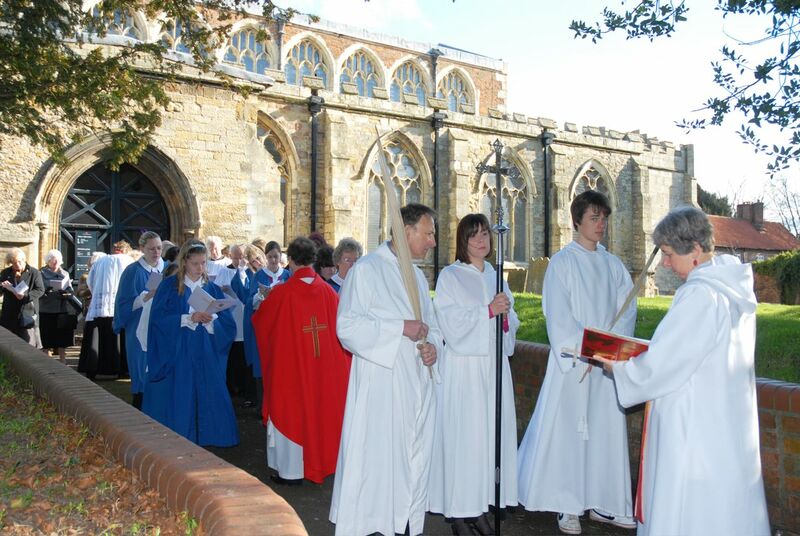 The Rev Katherine Colwell presided at her first eucharist in the parish on 28 September, 2009, the vigil of the feast of Saint Michael and All Angels. 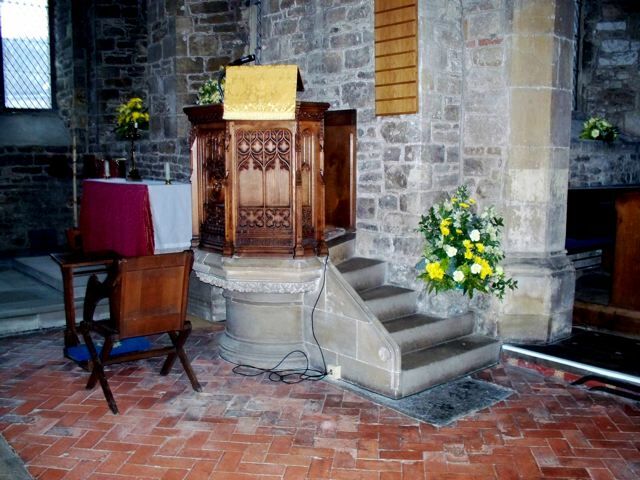 A new frontal for the altar in the chapel of the Holy Trinity, hitherto bare wood, was unveiled on Sunday October 25, 2009. 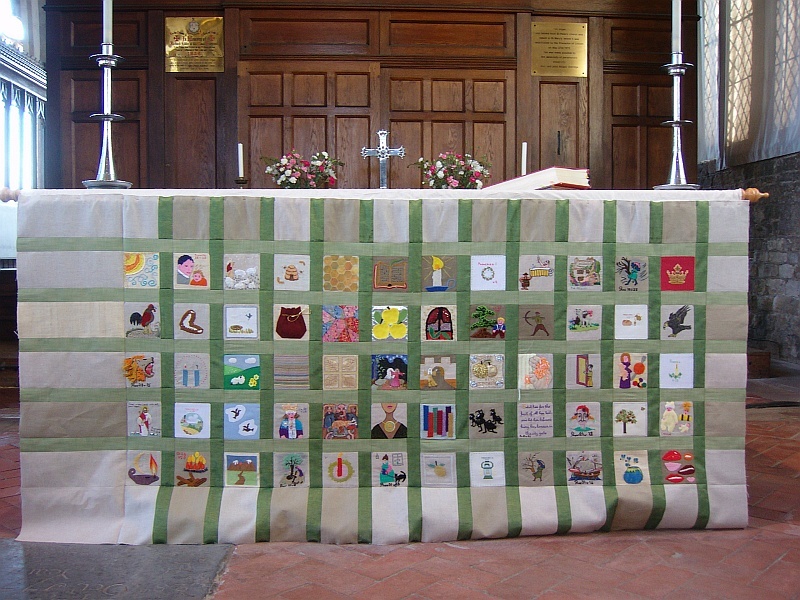 Still not completely finished off with backing and hems, it depicts items and symbols mentioned in the book of Proverbs. 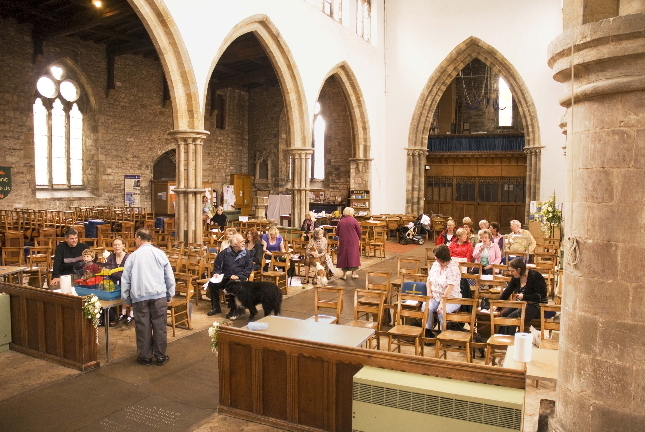 Every single "tile" was designed and executed by a different member of the congregation. 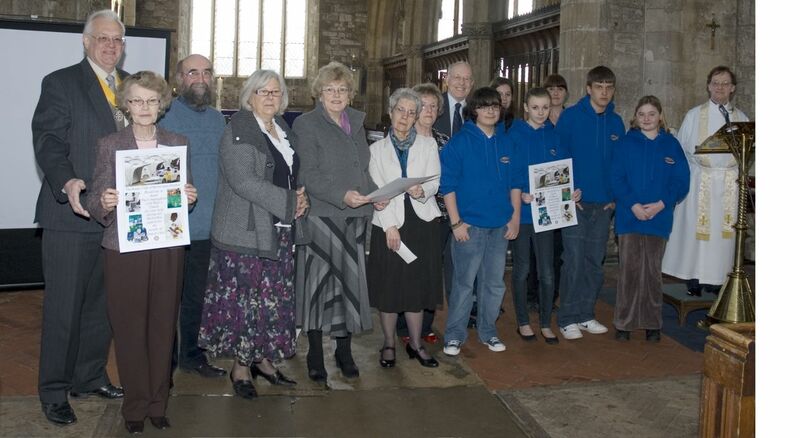 John Leaning and David Lee and Rev Alan Wright with the Parish Wardens and representatives of Ladies Group and E1W who hold the certificates presented by the Club in recognition of the fund raising efforts of the Parish and the 2 groups for aid to victims of the 2010 Haitian earthquake. 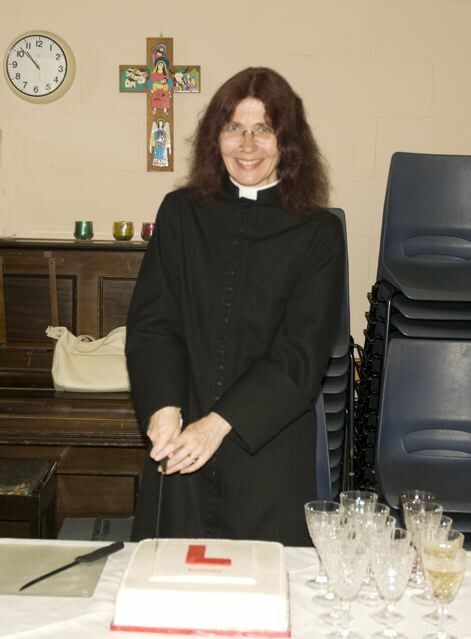 The Rev Liz Brown cuts a cake on Sunday July 11, 2010 to mark her ordination as Deacon the previous week. 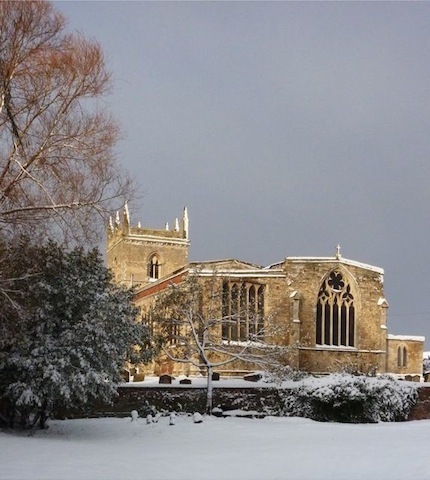 There was heavy snow in early December in 2010.